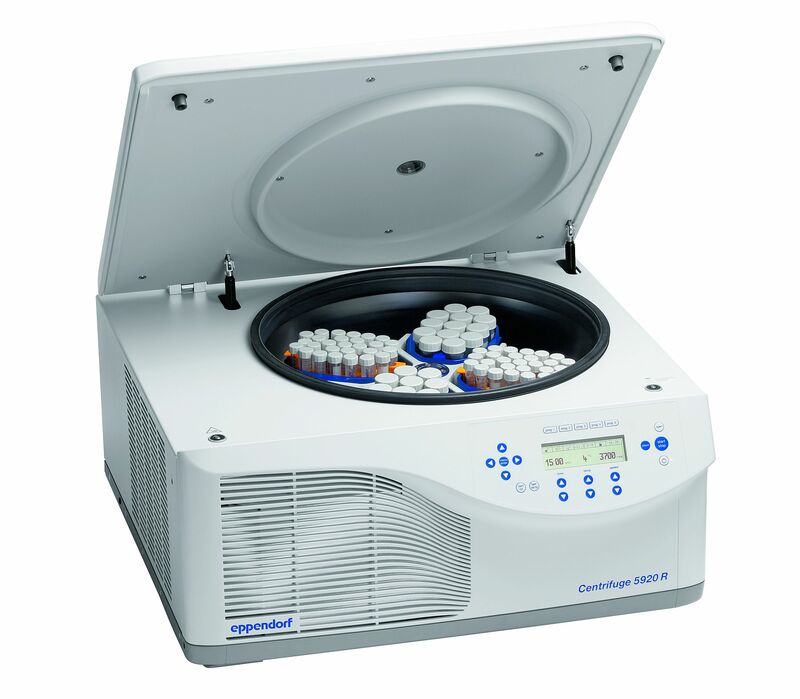 Centrifuge 5920 R can accommodate up to 4 x standard 1 Liter Nalgene® bottles, as well as up to 108 x 15mL conical tubes, and 52 x 50mL conical tubes, enabling researchers to spin large volumes at any one time, in applications such as bioprocessing or cell culture. Additionally, the universal rotor bucket design means researchers can spin both plates and tubes in the same bucket without the need to purchase separate plate buckets. Eppendorf’s Centrifuge 5920 R also offers a powerful state-of-the-art refrigeration system with advanced temperature management, meaning users can be confident that their temperature-sensitive samples are safe. Dynamic compressor control technology and a FastTemp pro® function also allows precise and automated pre-cooling based on a pre-programmable time and date.